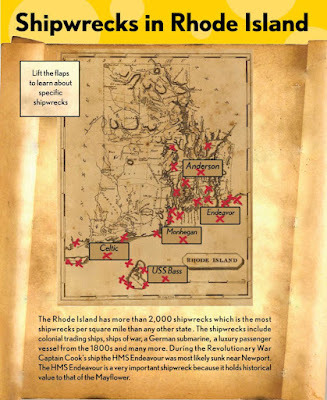 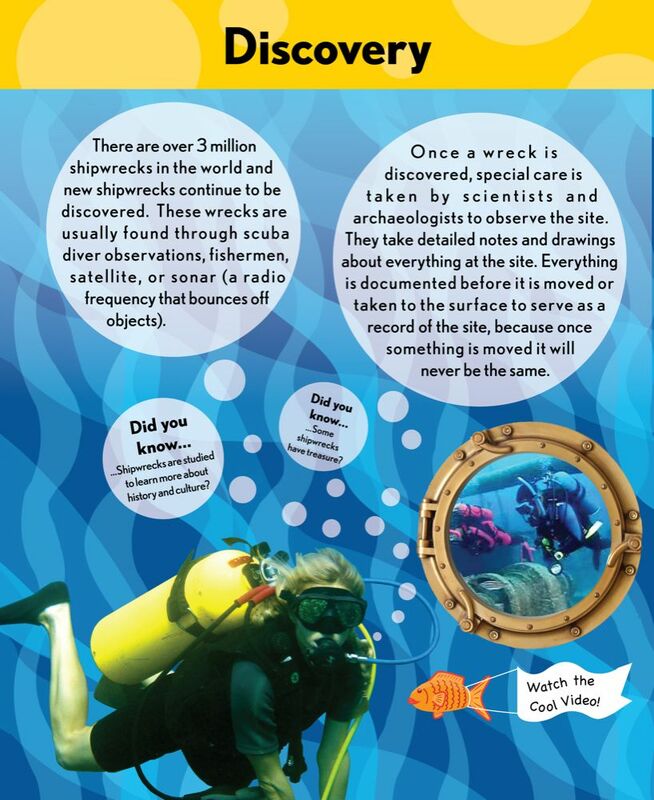 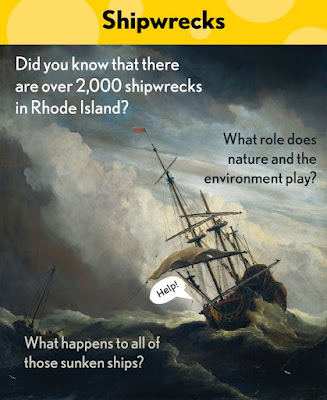 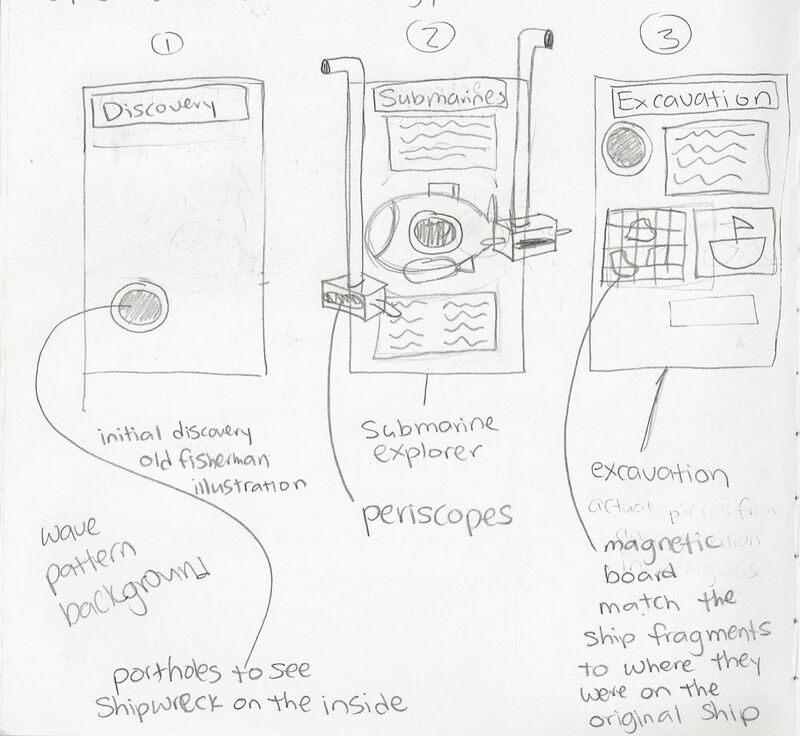 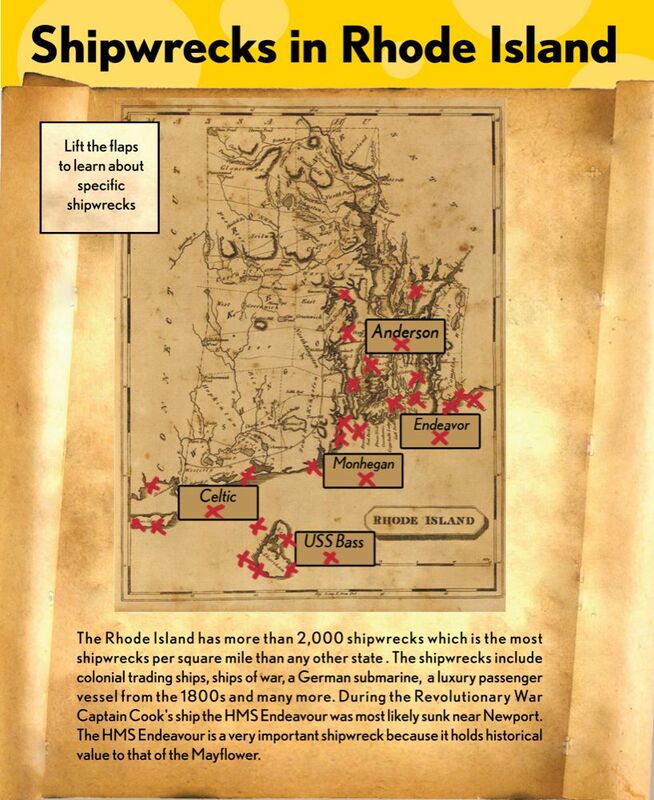 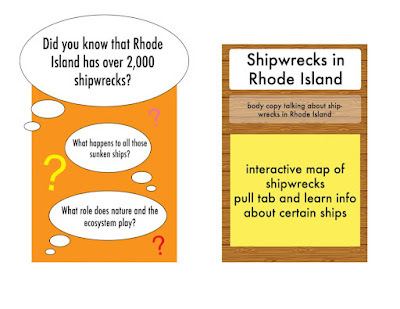 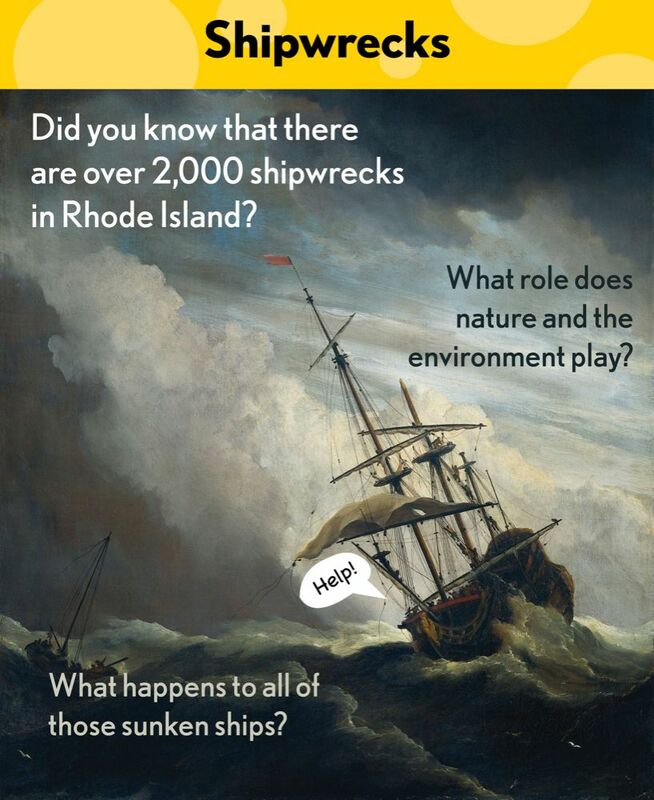 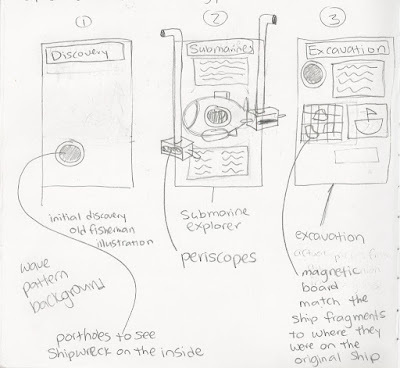 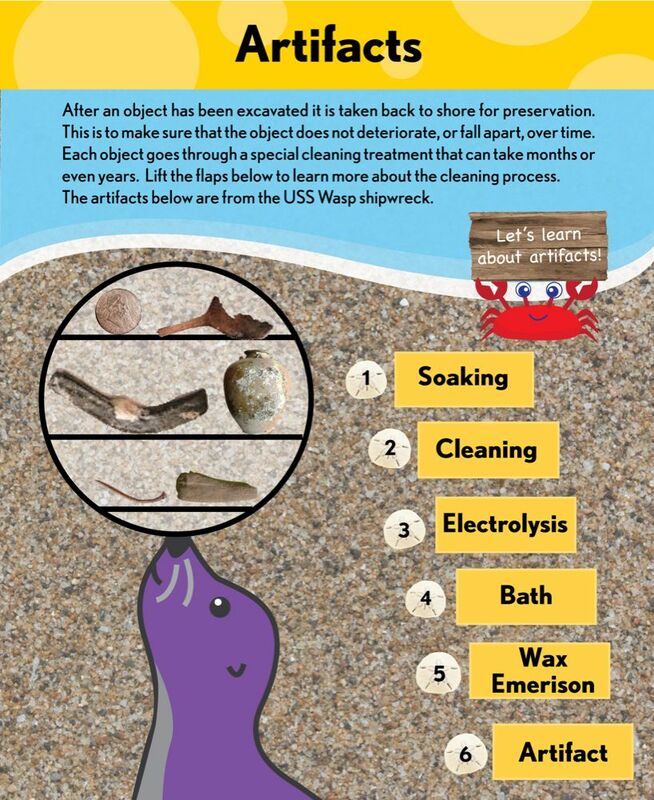 For a semester long project in my Putting It All Together class, I designed a mock children's museum exhibit about shipwrecks. 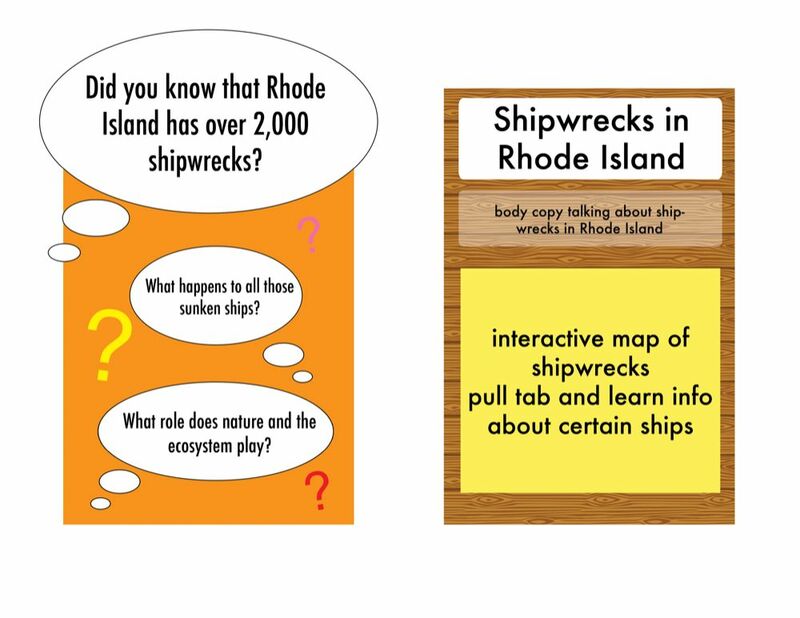 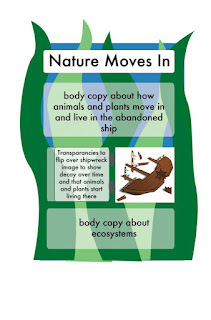 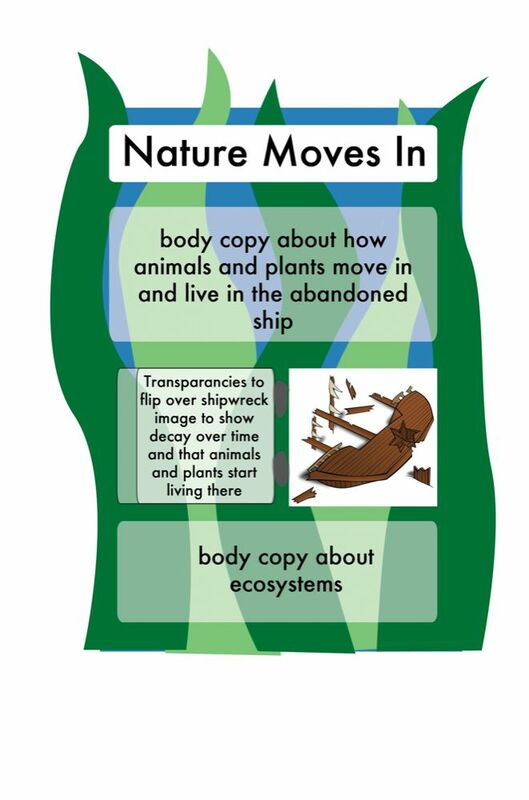 I focused on creating multiple panels that would include information, illustrations, photos, videos, and interactive elements. 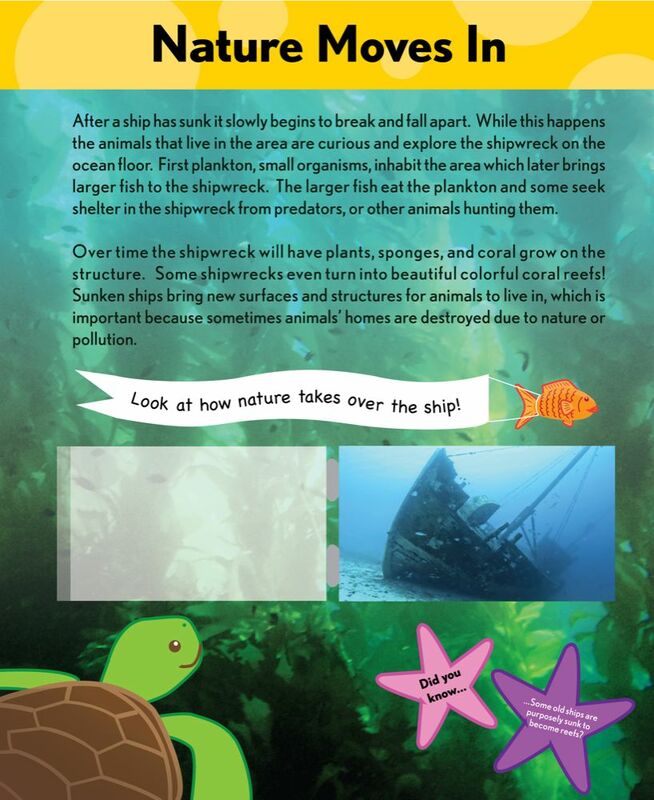 I really wanted to make the exhibit fun and exciting for kids. 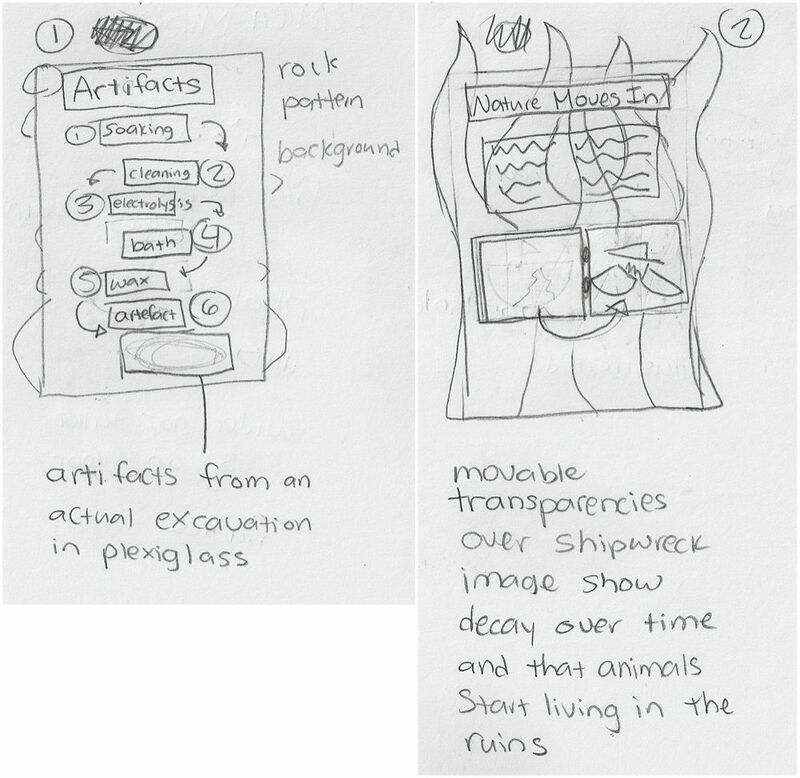 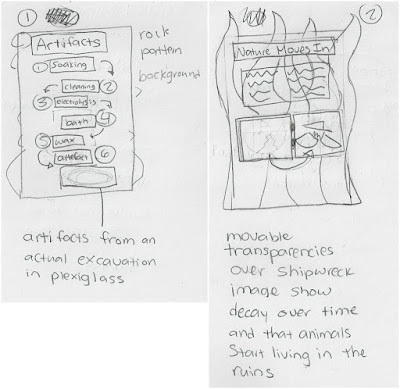 Below you can see my whole process from initial sketches to final designs. 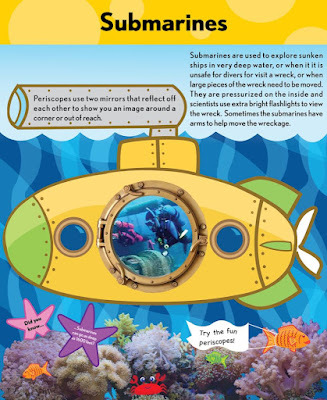 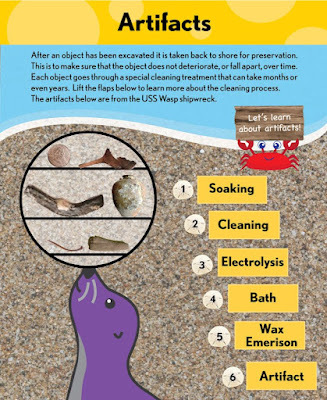 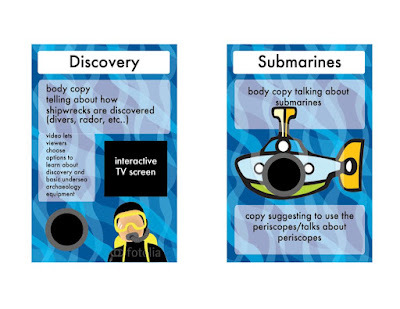 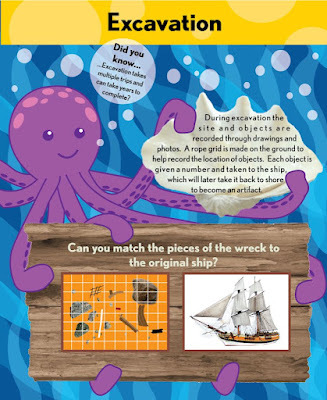 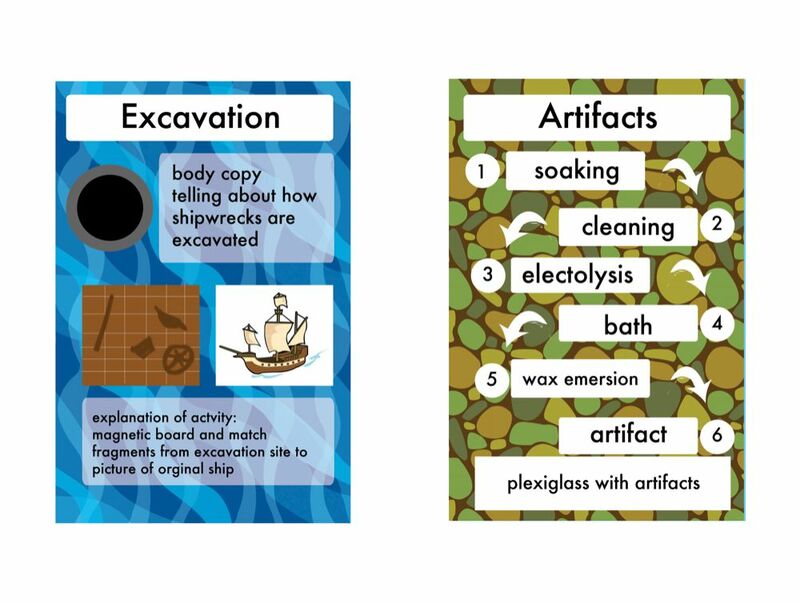 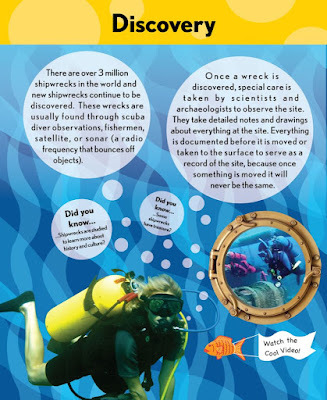 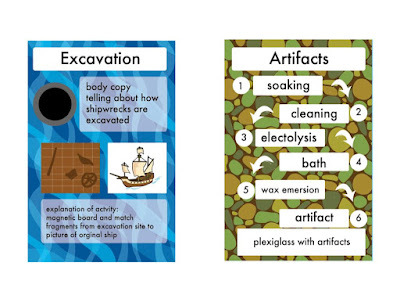 While creating this project I learned about combining graphic design, surface design (patterns in the background), photographs, and illustrations-and I learned about undersea archaeology too!